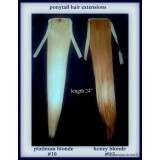 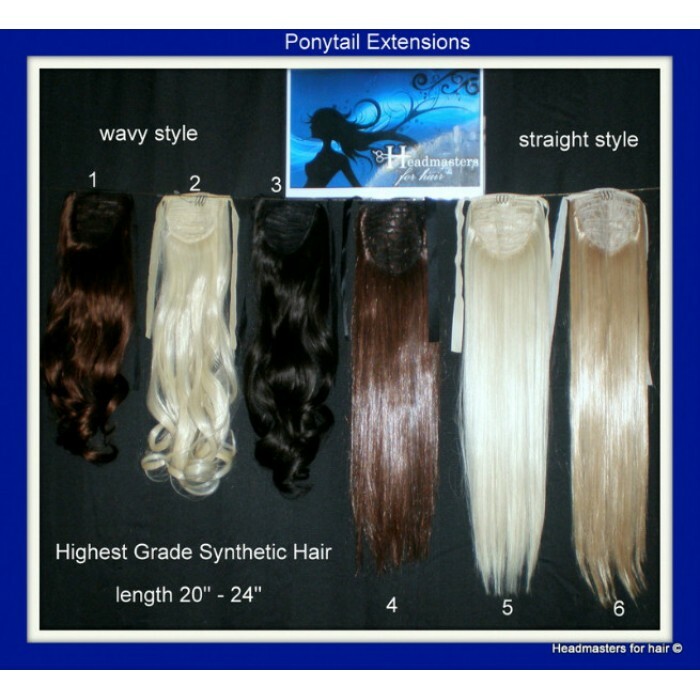 These tie in ponytail extensions are made from synthetic hair which looks and feels better than real human hair. 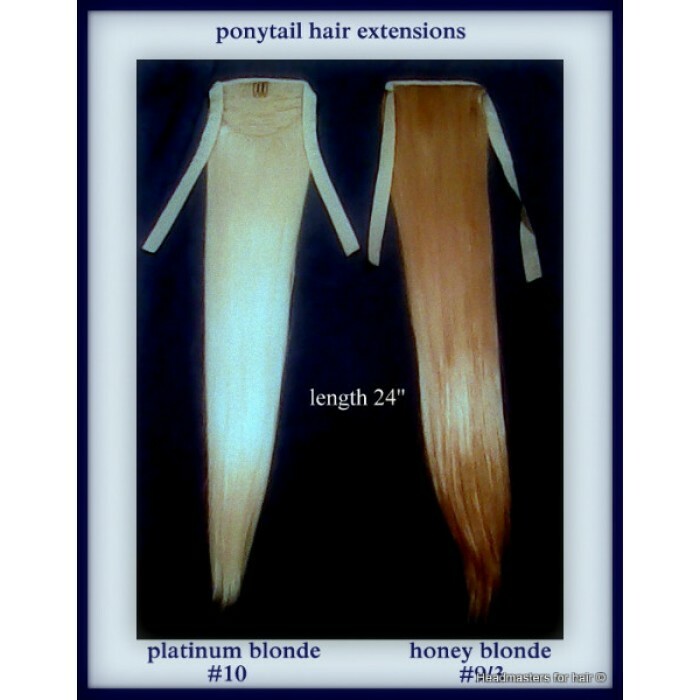 Great for bad hair days or a fun night out! 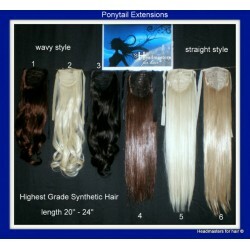 Available in straight (22") or wavy (18") styles.